Classic trumpet with a modern design. C.G. 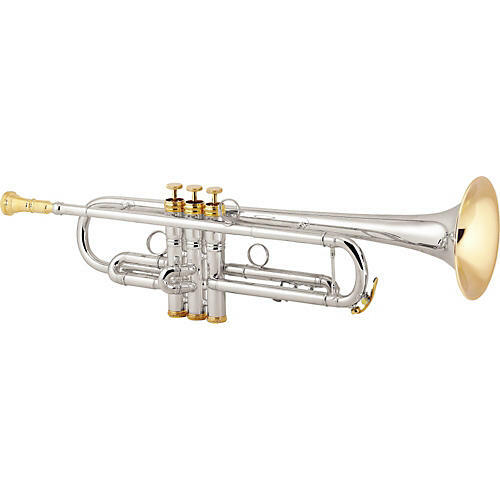 Conn has reentered the high-end brass instrument market with the introduction of a new line of professional trumpets. The Vintage One Bb combines the best of the classic C.G. Conn trumpets with a modern design. .459" (11.66mm) bore, one-piece hand-hammered yellow brass bell, 46 standard leadpipe, and monel pistons. Includes 2 tuning slides, Modular Valve Weight (MVW) system kit, 1-1/2 CKB mouthpiece, and double case. Includes 2 tuning slides, double case, mouthpiece.